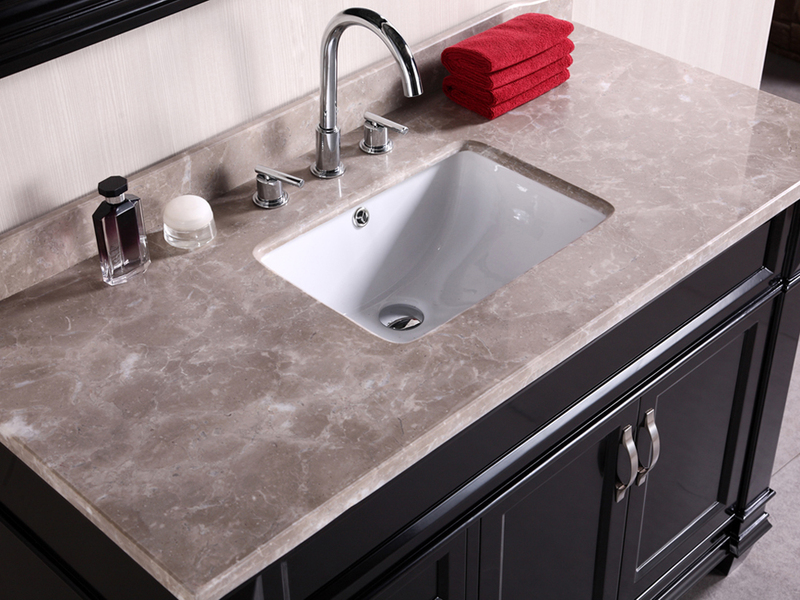 The 48" Hudson Single Vanity, with its elegantly carved surfaces and beautiful marble counter top, is the perfect addition to a traditional style bathroom. 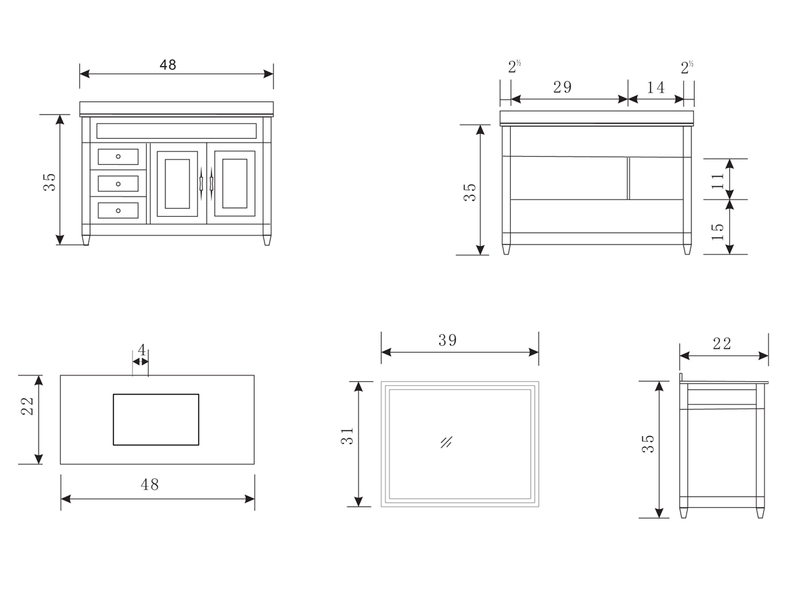 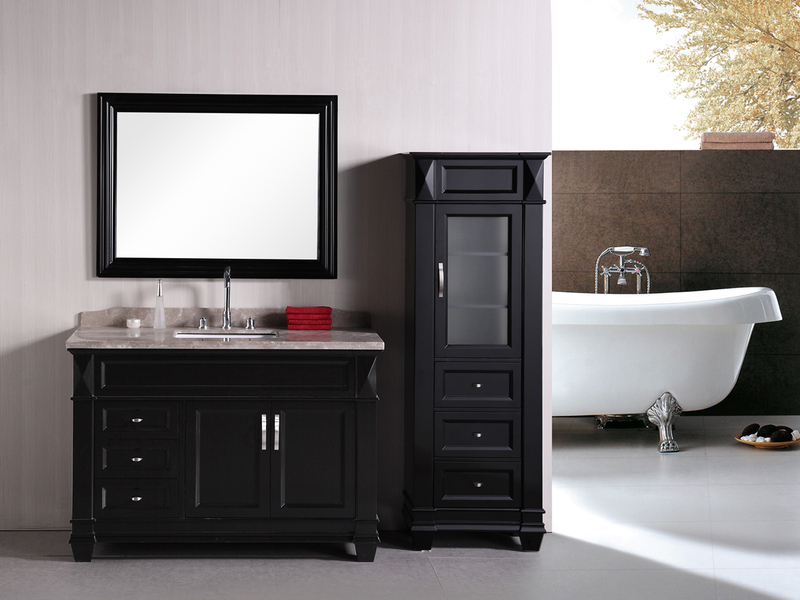 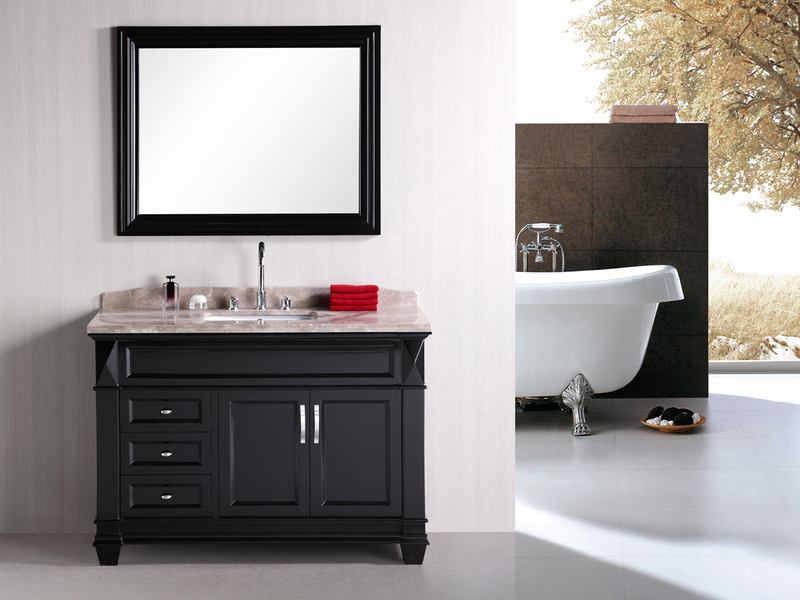 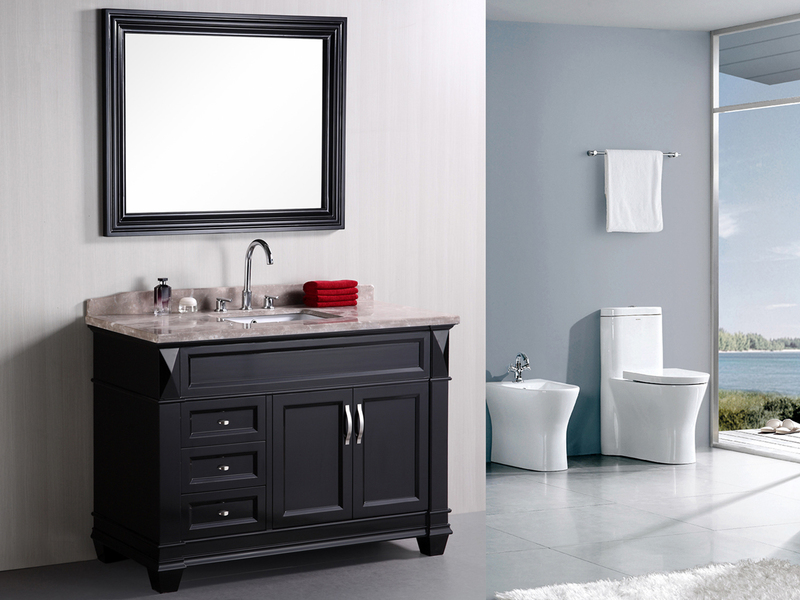 The vanity sports a rich espresso finish on its solid oak body, which is matched with a framed mirror. 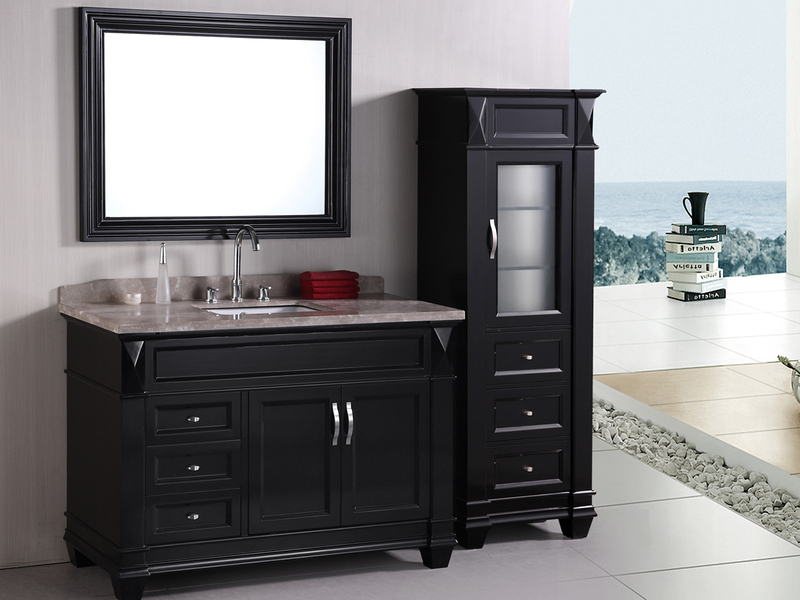 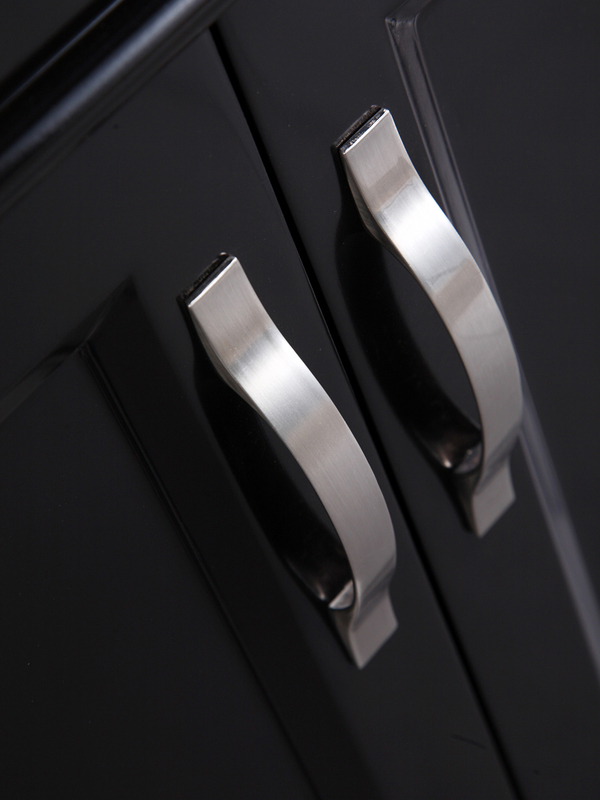 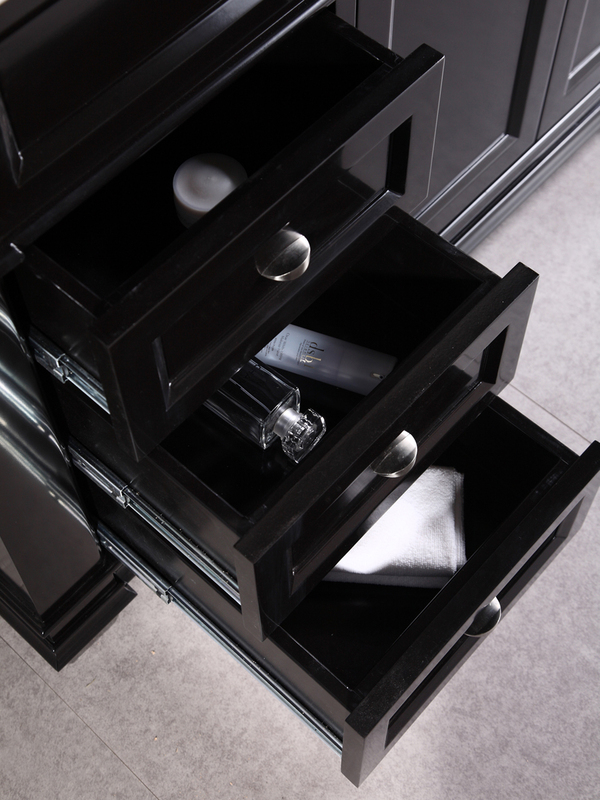 Three pull-out drawers and a double-door cabinet provide storage space for your bathroom necessities while the ample counter space allows enough room to store additional accessories.